Meet Daniel Guajardo from Marysville, Wash.
Daniel is a senior in high school and taking Core Plus Aerospace at the Sno-Isle Tech Skills Center in Everett. We had the chance to sit down and ask Daniel questions about the course, what a typical day is like and what he has planned for his future. 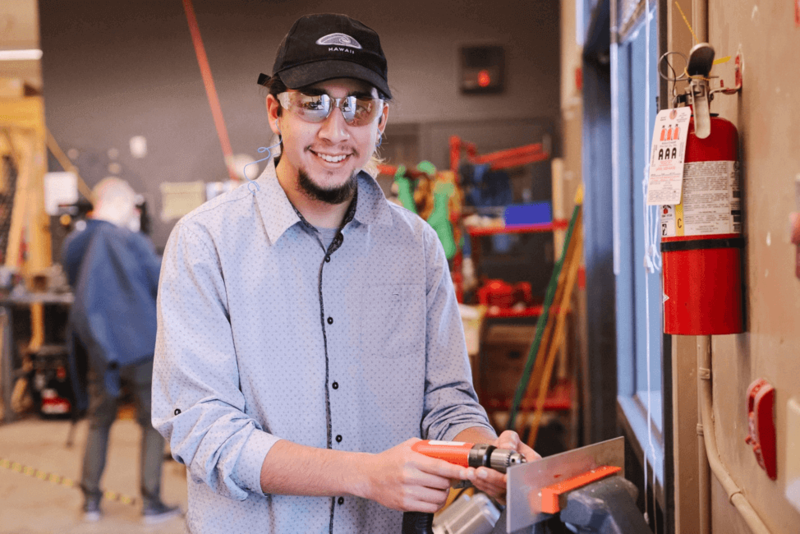 Read more below and learn how Daniel’s Core Plus Aerospace at Sno-Isle Tech Skills Center is providing him more options after high school. What’s a normal day in a Core Plus Aerospace class like? It’s a hands-on class where you get up from your desk and practice skills. We’ll usually begin the class learning a skill like drilling from our teacher. Then we’ll actually go into the shop and practice the skill while the teacher is there to answer our questions. What are you currently learning in the class? Currently we’re learning about safety plate and riveting. As far as tools go, I’ve learned to use a rivet gun, a drill and a deburring tool. Along with manufacturing skills, what other skills have you learned? Communication is a major skill I’ve learned. Since we’re in a workshop we have to be aware of our surroundings for safety reasons. We have to communicate with each other and talk to each other about what’s going on. I’ve also learned teamwork. We look out for each other and make sure everyone is on the same level before we move onto the next level. How has the class helped you connect with potential employers and explore career fields? I toured a Boeing facility for a family day. It was a pretty cool scene. Touring the facility helped me find what I wanted to do and understand the type of field I want to go into. I think this class can help other students figure out what they like and want to do and if they like it keep going on. What are you plans after high school? 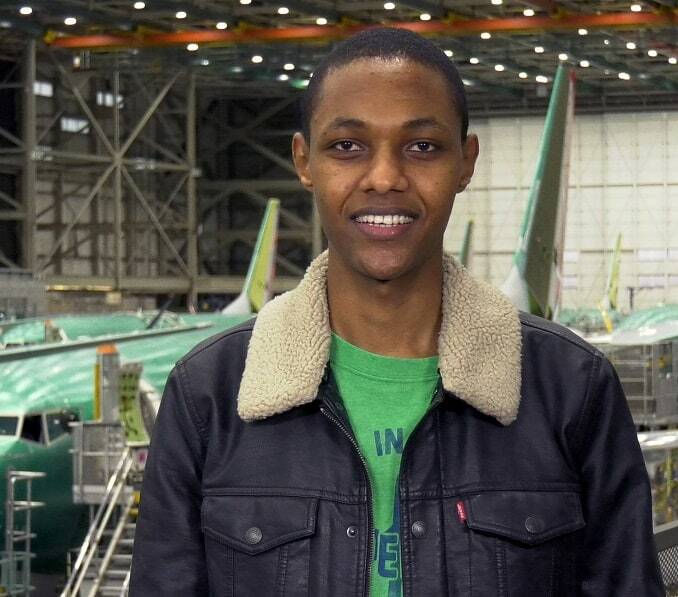 My plan after high school is to work for Boeing, go to school for my Aviation Maintenance Technology certification and then go onto an aircraft-on-ground team.